When we started selling light traps, we hardly sold 50 pieces in the first year. Last month, we imported more than 750 pieces, expecting to sell all of them by the end of this summer. We put all orders on a map and this is the result. Every point represents at least one trap sold. 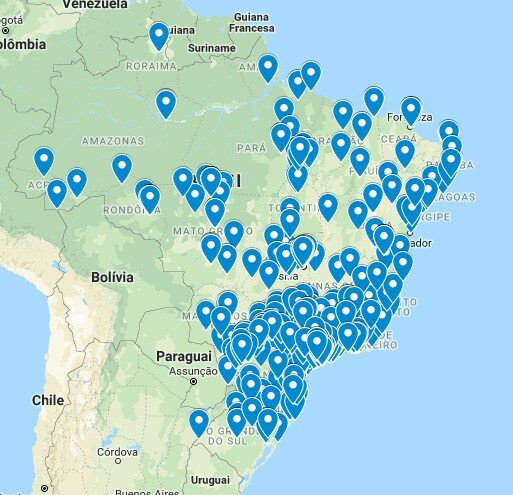 We are present in all Brazilian states. This is a result of hard work of many people at Ascend Global along the last years. Nothing comes easy nor as fast as we hope, but we have already got very far and on the right path for even more. We thank everyone who was part of this achievement. Congratulations!! !